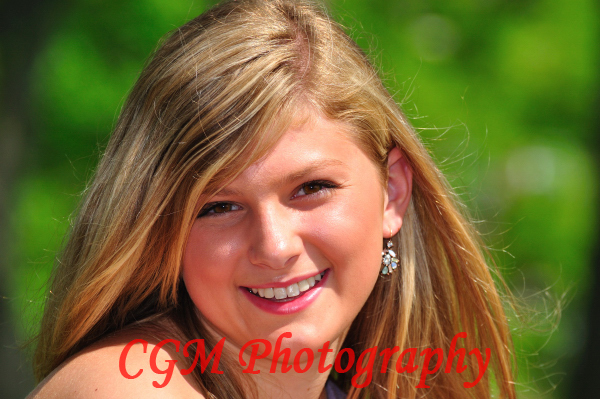 Last week, Ginny and I went to campus to shoot Morgan Pegg’s senior pictures. 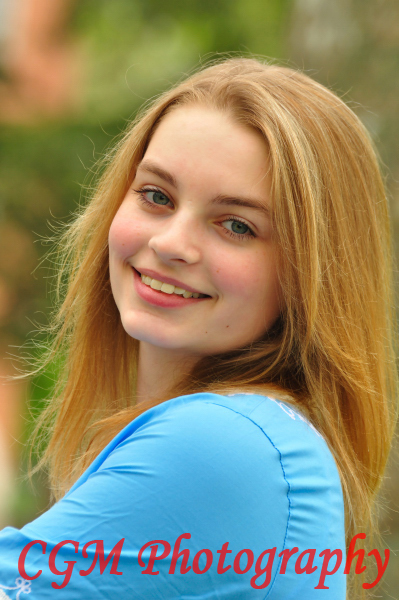 Morgan had some great ideas for shots that we hadn’t done before, so we had a good time working with her on this shoot. Morgan was a natural in front of the camera. We will miss seeing her parents around Culver and wish Morgan all the best for her future. 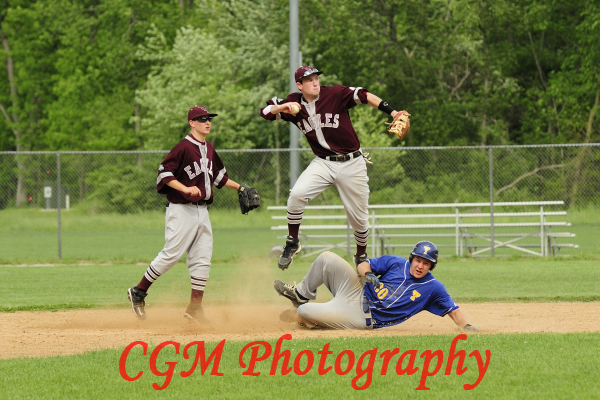 Earlier this week, the CMA Varsity Baseball team played their last home baseball game of the season against Triton High School. Culver Academy continued their winning season with a win of 10-to-1. Last weekend, as part of Culver’s Reunion Weekend, the CMA and CGA Honor Organizations performed at the recently renovated Riding Hall. As one would expect this late in the year, all the groups looked and performed very well. 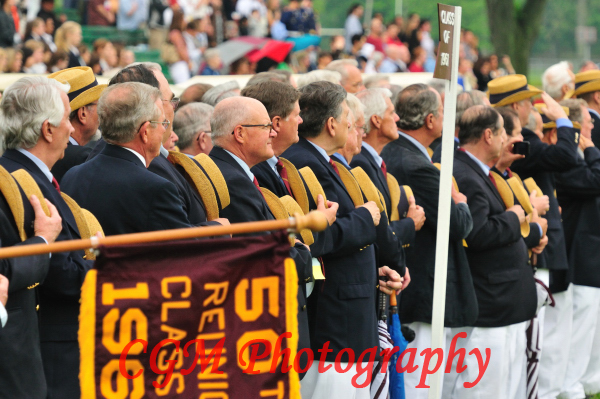 On Saturday afternoon of Culver’s Reunion Weekend, Culver held a Garrison Parade, which includes the returning alumni. This year, unfortunately, the parade happened in the rain on a soggy field. With some uncertainty about whether or not the parade would happen and some earlier events falling behind schedule, things were a little disorganized, but you could tell the returning classes had a great time. This was also the parade at which the parade field was dedicated to Mr. Jim Henderson. It was a nice ceremony and appropriate for the class of ’86 that had returned for its 25-year reunion, as Mr. Henderson was the honored speaker at 86′s graduation. I know this because Ginny was one of the returning members. She enjoyed the entire weekend. 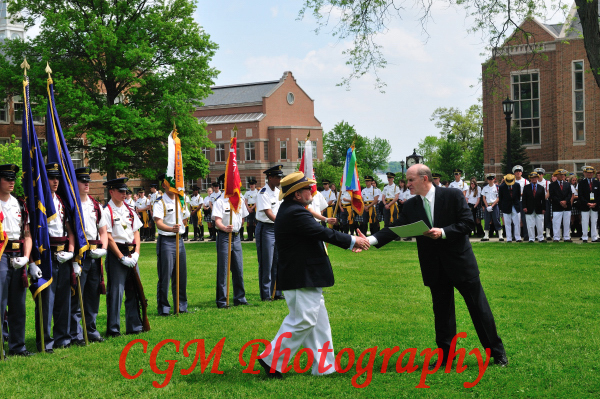 As part of Culver Academy’s Reunion Weekend, Culver holds the Gate Ceremony where the more “seasoned” classes are invited to pass through the Iron Gate. This is a really nice ceremony that began 9 to 11 years ago at the request of one of the returning classes. 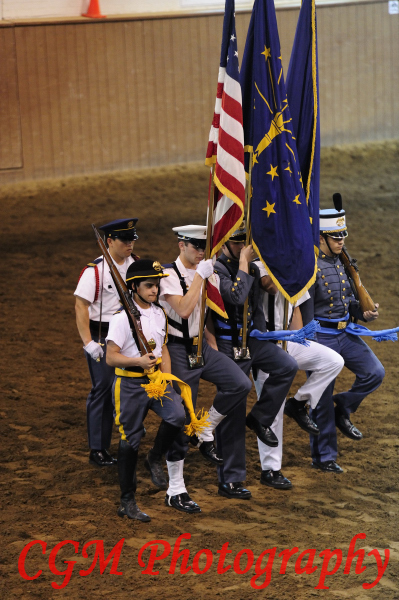 Every year, this is a touching and emotional ceremony that honors the more veteran classes. 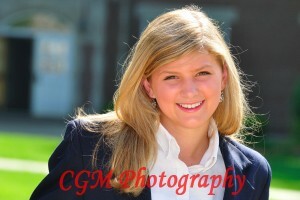 This past week, Ginny and I went to Culver Academies campus to shoot a senior named Sarah. What was great about this shoot, aside from Sarah’s personality, was that we got to shoot the horse Sarah rides. This took some pre-planning, as we had to be supervised for this part of the shoot (safety reasons), but it was worth it! Sarah also likes black and white shots, so we played around with some black and whites; some emphasize the white highlights and others emphasize the black highlights. Ginny suggested we do a black and white of Sarah approaching us with the horse, as Ginny wasn’t fond of the background, but liked the idea of the approach. It turned out to be one my favorite shots. We also wanted to get the riding hall in the background of a few shots, so we adjusted aperture settings to achieve that with a blur. Sarah also wore her graduation dress for some shots, so we have a great mix of her in this set. I’ve since taken the horse a bag of apples to snack on, as I was grateful for his cooperation. 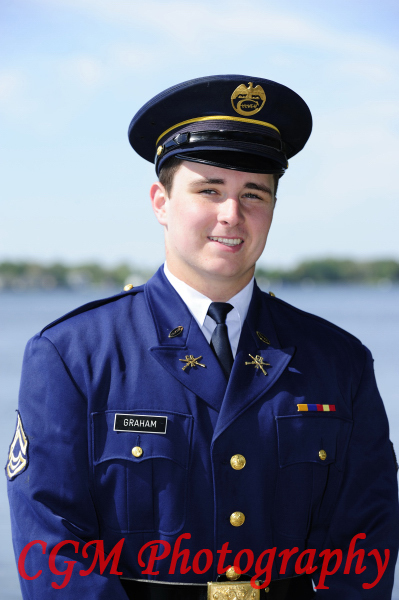 On May 16th, I photographed Culver Academy junior Bud Graham on the shores of Lake Maxinkuckee. We got some great photos as the sun was actually shining, adding some color to what has been an overcast sky this Spring. (As I often do, I asked Bud to meet at the Senior Ring. When he arrived, I asked him to stand by one of the pillars in the Ring, to which, he gave me a questioning look. I then recalled that he was a junior and not allowed on the Senior Ring. As an Alumni, you’d think that I’d have remembered that.) Bud was faithful to the Culver tradition and stayed out of the ring. On May 14th, the Culver Academy Varsity Lacrosse Team played what turned out to be its final game for the season. CMA hosted Penn High School in the first game of the state playoffs. The Culver teammates played their hearts out and made a rally that looked as though they could pull out a win. Unfortunately, there just wasn’t enough time in the game to make it happen. Culver lost 12 to 15. 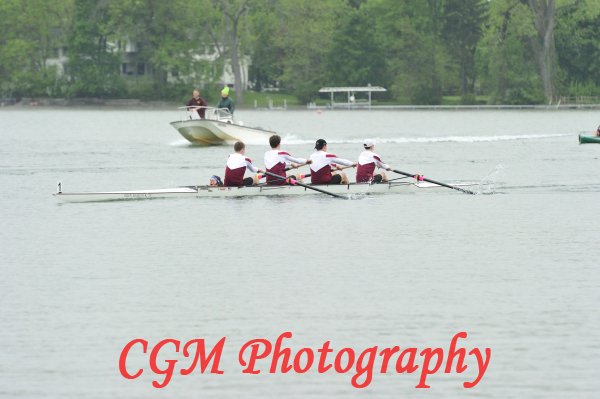 On May 14th, the Culver Academy Crew Teams hosted an Invitational Regatta on Lake Maxinkuckee. As this was one of only two events that the team scheduled in Culver, I was looking forward to it. As everyone has learned this Spring in Culver, the weather has not been friendly to the athletic teams. The event did take place, though it was very cold, cloudy, and overcast. It was not ideal for photos or the competitors. Last week I photographed, CMA senior Max Terhar on the shores of Lake Maxinkuckee of Culver Academy’s campus. The sun was actually out and it was a little hot, a pleasant change considering the weather that we’ve had in Northern Indiana this Spring. Our session was fun and relaxed as I’ve gotten to know Max this past year. 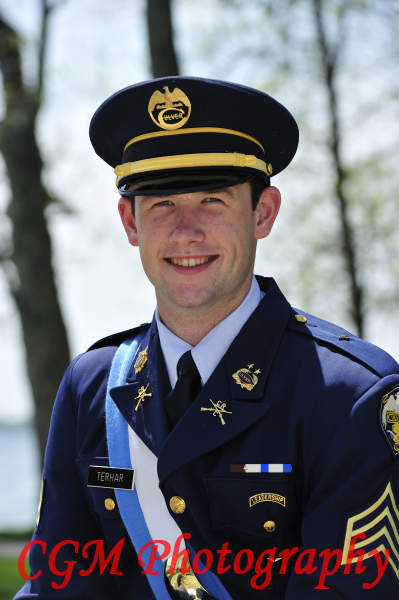 He was the captain of Culver’s Prep Hockey Team and is currently the captain of the Varsity Baseball Team. Max is a terrific athlete who will go far with his skills.